At a press conference on Tuesday at the White House, Brazilian President Jair Bolsonaro reiterated his opposition to LGBT rights. 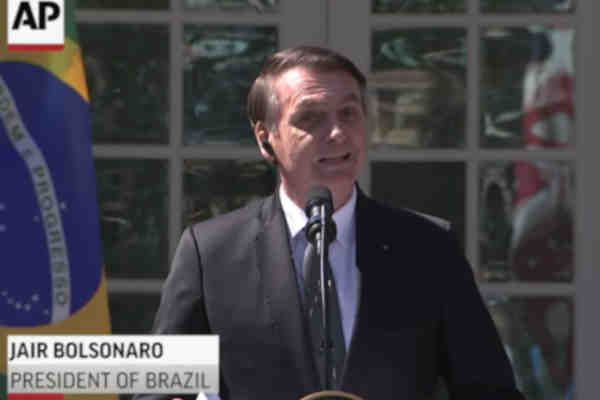 Bolsonaro spoke at a White House Rose Garden joint news conference with President Donald Trump. Bolsonaro also said that his admiration for the United States has “only increased” since Trump took office. “Brazil does not have a president who is anti-American,” he said.